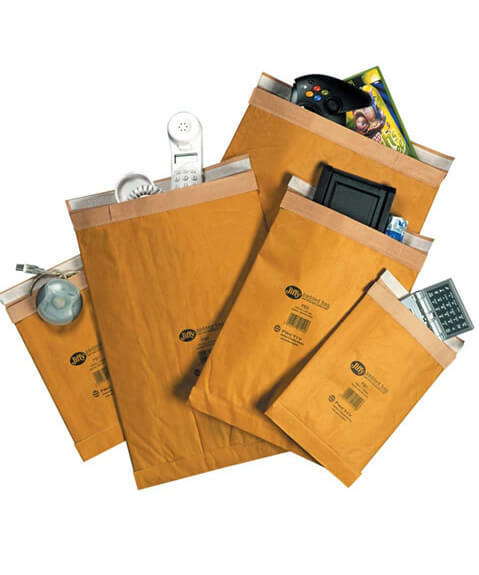 Wholesale Jiffy Bags available as White Airkraft bags (bubble lined) and Gold coloured Padded bags (made from paper with a fibrous filling). 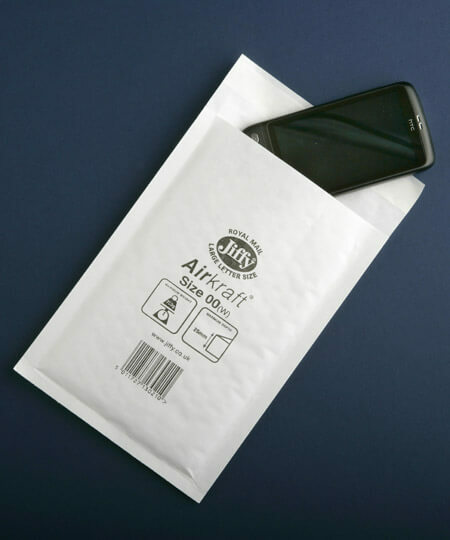 Both are made by the trusted Jiffy brand and offer excellent protection for parcels. Large range of sizes available in both styles.